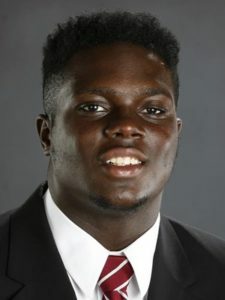 Tuscaloosa police say Alabama guard Lester Cotton has been arrested on a misdemeanor marijuana possession charge. Police said in a statement released Monday that Cotton was arrested on Friday at about 11 p.m. during a traffic stop. The officer found an unspecified amount of marijuana and drug paraphernalia after noticing the smell of marijuana coming from the Chevy Tahoe. Cotton started five games last season and played in nine off the bench, logging starts at both left and right guard.